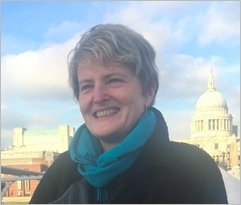 Claudia Woolgar's previous positions include: international programmer for Limerick National City of Culture 2014, Artistic Director and CEO of an arts centre, and Director of Kilkenny Arts Festival, an international multi-arts festival, both in Ireland. Before that Woolgar produced and toured the work of directors such as Rimas Tuminas (Lithuania), Silviu Purcarete (Romania), Lev Dodin (Russia) and Declan Donnellan (UK), and from 1994 - 1997 ran a British-Romanian theatre exchange programme, Noroc, which included managing and programming the first Britih theatre festival in Bucharest. She has worked in the Caucasus, training young arts managers, and is a published arts journalist and theatre critic. Currently, Woolgar works as a creative producer for Leeuwarden-Friesland European Capital of Culture 2018.